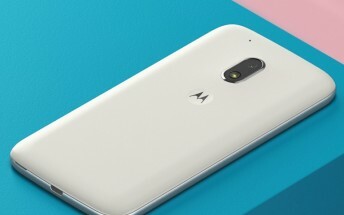 Of the three G4-branded phones it launched last year, Motorola has already updated the G4and G4 Plus to Android 7.0 Nougat. The software rolled out in some markets last October, and made its way to the US in March. But what about the G4 Play? The cheapest and lowest-end G4 is still on Marshmallow, and you may have expected things to stay that way given its affordability. Software update expectations are generally low in that price bracket. Yet Motorola begs to differ. The Lenovo-owned company has confirmed to Android Authority that the G4 Play will indeed get its very own taste of Nougat. This will be released at some point in June, at least for devices sold in the US. It's unclear when (or if) the update will become available for G4 units purchased elsewhere.